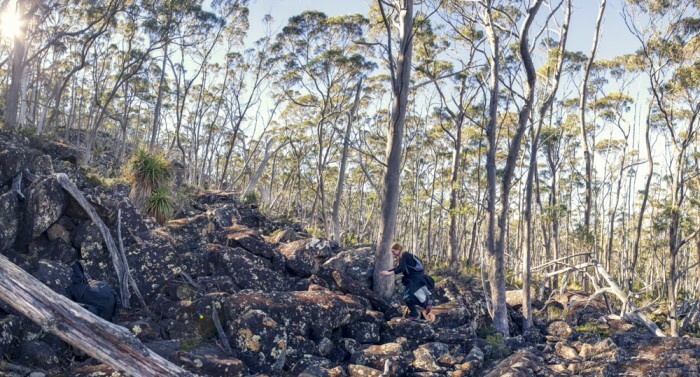 View Google Map Directions The Mount Field East Circuit is located 80km north-west of Hobart, within the upper section of the Mount Field National Park. From Hobart, head north-west on the Brooker Highway (A10) to New Norfolk. 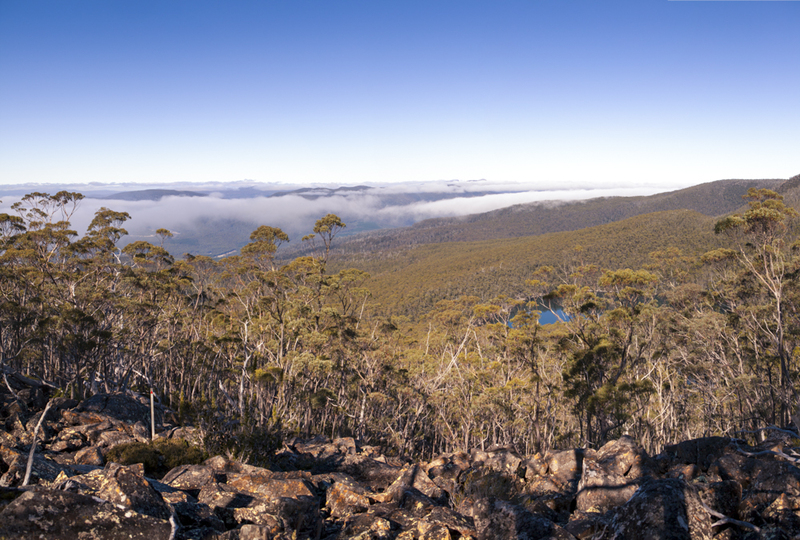 Once at New Norfolk, follow winding road of B61/B62, turning right into the Mount Field National Park after 18km. 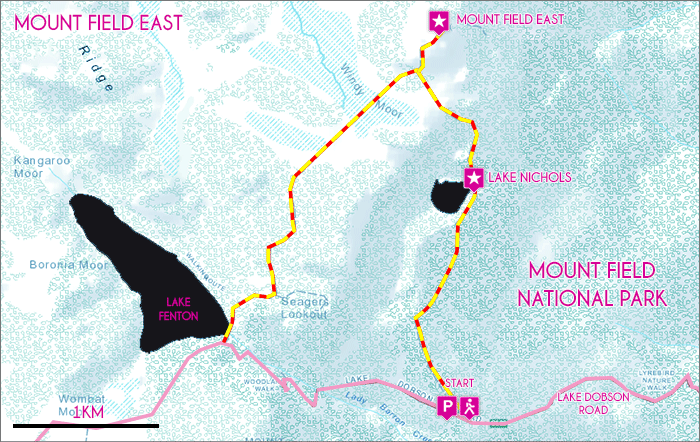 After reaching the National Park continue past the visitors centre on Lake Dobson Road for 8km, the circuit begins from a small car park on the side of the road. The following route documents the Mount Field East circuit in an anti-clockwise direction. The trail begins roughly 8km beyond the Mount Field Visitors Centre on Lake Dobson Road. Even before starting the walk the sights and surroundings are incredible, lush rainforest canopies and towering ferns greet you at your car. From the carpark, the initial section of the track leaves the rainforest and gently climbs through tall snow gums forest towards Lake Nichols. The track may be quite wet underfoot. After about 1km the track flattens out and follows the ridgeline above the lake before descending. Occasional views of Derwent Valley are achieved through the treeline. Lake Nichols is breathtaking and provides the most idyllic spot to sit and rest for a while. In case of poor weather the adjacent Lake Nichols Hut can be used as an emergency shelter. Continuing on from Lake Nichols the trail climbs a steep escarpment towards Windy Moor and the summit of Mount Field East. Shortly into the climb Lake Raynor is passed to the left. Track conditions here are the most difficult of the day’s hike with some sections requiring scrambling over boulders, care must be taken in icy conditions. From the top of the escarpment sweeping views south across Lake Nichols and the Derwent Valley beyond are offered. From here the trail continues for 400m across a picketed moor towards the Mount Field East junction. Once at the junction the top of Mount Field East is reached via 500m of scrambling across a steep rock scree with cairns markers pointing out the easiest route. Once at the top walkers are rewarded with panoramic views of the Derwent Valley and the Mount Field plateau. Take the same track down to the junction. From here the trail crosses the Windy Moor to the ridge above Lake Fenton. 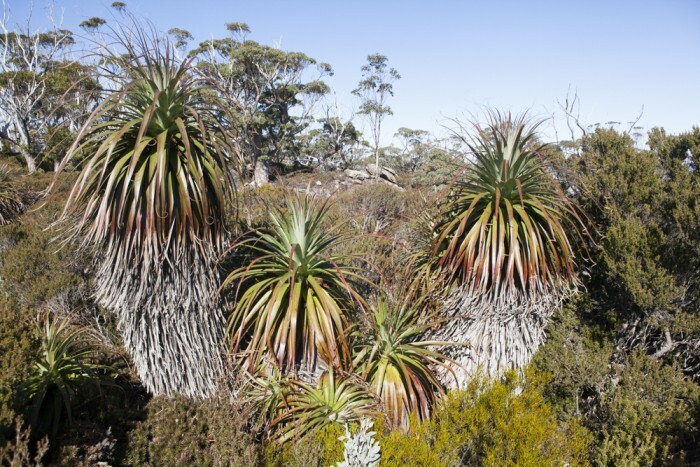 Windy Moor is an incredible alpine plateau criss-crossed with creeks and streams. The track may occasionally be difficult to follow in poor weather and is always muddy. Take care to ensure you follow the picketed route. Once at the edge of the Moor the trail returns to snow gum forest and weaves through a particularly dense section down towards Lake Fenton. Along the way interesting rock formations and Pandani trees (Richea pandanifolia) provide a stunning backdrop. Lake Fenton is reached shortly after. At Lake Fenton the bushwalking section of the circuit ends and Lake Dobson road is followed for 1.5km back down to the car park.